U.S. Chico's is having an amazing offer right now! Take an extra 50% off already reduced styles. 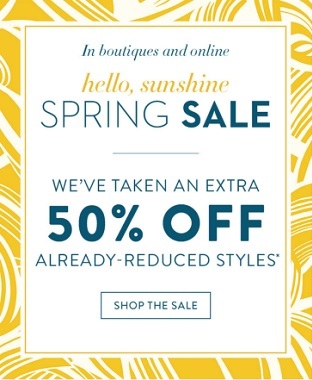 Offer is valid at U.S. Chico's boutiques or Chico's online. Source of the information is U.S. Chico's. For more details visit any U.S. Chico's boutique or Chico's online.